The variance used for determining the resulting level of accuracy is set by the user. This is currently a free add-on for licensed users of The Compounder. For added quality control you can scan the bar code of the chemical ingredient, thus confirming that the weight matches the chemical in the list that was scanned. The screen shots on this page show you a brief example of this integration. This is just one of the many quality control features added in The Compounder. The Ohaus Explorer EX Series represents the latest design and application performance. Intuitive Software: SmarText™ 2.0 is OHAUS’ easy-to-use graphical software featuring 14 applications, virtual QWERTY and numeric keypads, and below-minimum weight indication. Ingenious Draftshield: Explorer’s draftshield provides ample access and visibility to the weighing chamber and features antistatic coated glass. Ingenious Modular Design: Explorer’s modular design features a color touch display that can be separated from the weighing base. The Ohaus Voyager Pro Series represents the summit of balance design and application performance. Voyager Pro makes all operations- from basic weighing, to the most advanced applications- logical, intuitive, and easy to use. Voyager Pro features state of the art weighing technologies and wraps that performance into an ultra-simple and innovative graphical user interface. Software includes scroll down menus for quick navigation and on-screen text prompts to guide you through application modes. Voyager Pro's high-resolution display is easy to view and customizable to display only the information you want. Today's environment demands more than a standard balance, and Voyager Pro delivers. Whether it's determining the difference between initial and residual weights or calculating the density of solids and liquids, Voyager Pro eliminates the need for time consuming manual calculations and data logging. 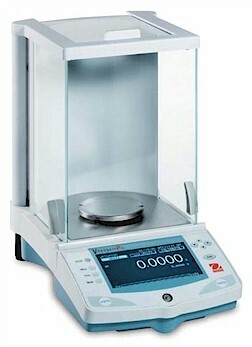 The Ohaus Adventurer Pro is the latest in the Adventurer line of Precision Balances. Designed for use in laboratory, industrial or education applications, the Ohaus Adventurer Pro continues the tradition set by the original Ohaus Adventurer series. Featuring easy-to-use four-button operation with intuitive man-machine interface, a new 2-line brilliant backlit display, multiple weighing units, seven application modes, and RS232 connectivity, the Adventurer Pro is the precision balance for all your needs! Designed for use in laboratory, industrial or education applications, the Ohaus Adventurer continues the tradition set by the original Ohaus Adventurer series. Featuring easy-to-use four-button operation with intuitive man-machine interface, a new 2-line brilliant backlit display, multiple weighing units, seven application modes, and RS232 connectivity, the Adventurer is the precision balance for all your needs! 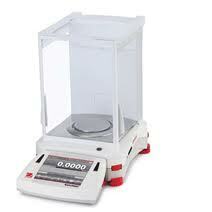 Innovative weighing technology with fully automatic internal calibration or external calibration. 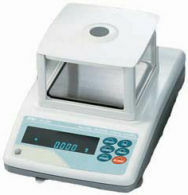 The intelligent software recognizes the added weight and automatically completes the calibration. Powerful application can be easily mastered via the intuitive display Pinnacle sets new standards with the integrated three communication interfaces (USB, RS232 and LAN). 27 Models for almost all applications. The new Denver Summit offers advanced technology at affordable prices. 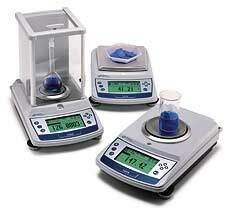 Extremely fast measuring times and increased weighing capacities make the difference. All Summit-balances are Made in Germany – which guarantees superb workmanship. Many of the older Denver Instruments balances work with The Compounder software products. The GF-P Legal-for-Trade balances are ideal for pharmacy and retail applications or any situation that requires a legal-for-trade top loading balance. GF-P balances include outstanding features such as IP54 splash proof keyboard and display, a bright vacuum fluorescent display, bi-directional RS-232C and display auto power off. 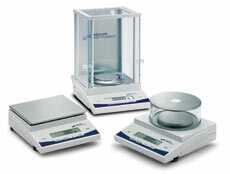 The balances are standard with large square weighing pans, a front leveling bubble, and an instruction card that swings out from the bottom of the balance for quick reference. Precision balances are a smart choice for anyone who needs precise results, comfortable operation and mobility in a compact design. These balances are mainly used by compounders in Canada. We also have a generic scale setup that will allow the software to work with several balances not listed here.